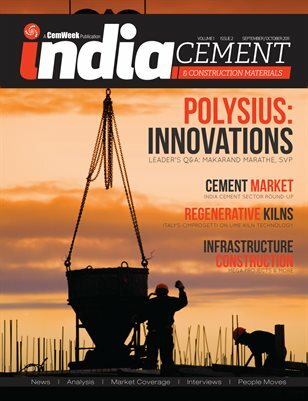 The September / October issue of the CemWeek's ICCM, talks to Polysius India's SVP Makarand Marathe about the market and innovation. Italy's Cimprogetti shares the latest thinking on lime kiln technology and the research team highlights critical topics for the India cement sector: energy, skilled labor and takes a closer look at Madras cement. The infrastructure and construction sectors also benefit from an update, in addition to the regular cement sector coverage.